The staggering 2018 force of PinioL has broken back down into its individual components, for the time being at least. And of course, this means twice the fun in 2019! With Ni set for a new release on March 1, it was only a matter of time before their equally zany colleagues in PoiL were going to unveil some new material. Lo and behold, here it is! Sus will be PoiL‘s first non-collaborative record since 2017’s L’ire des papes / Dins o cuol, and listeners can expect…well, nobody really ever knows what to expect with these guys, other than some off-the-wall, reassuringly unsafe, and rocket-propelled musical outlandishness. Their records are, however, always reliably enjoyable, so this is most definitely one to keep an eye out for. Check out the album’s tracklist and cover artwork below! Hopefully it won’t be too long before some musical tasters come our way. There’s no denying that the band entered this year with a swathe of new fans after their PinioL jaunt, so now is the prime time to show all the newcomers to their music what they are capable of as a trio. Although, listening back to some of their stuff, one might be forgiven for thinking they were actually a ten-piece jazz ensemble. 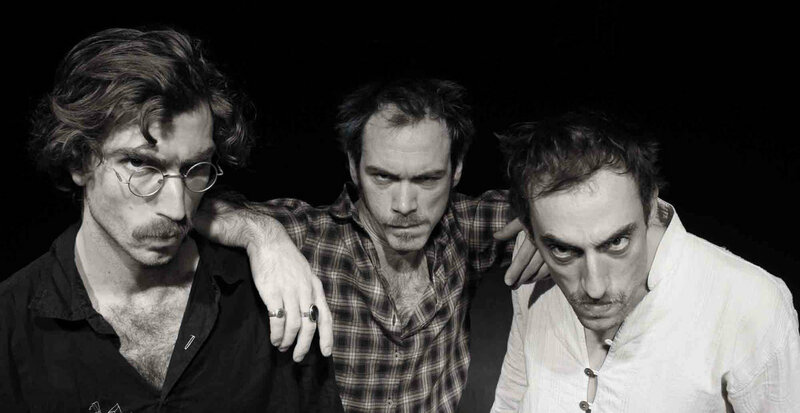 Sus is set for release on April 26, under the proud banner of French music collective/label Dur et Doux; the album will be available in CD and vinyl formats. All of this, along with their back catalog of music, can be checked out at PoiL‘s Bandcamp page. For all other news and info, visit their Facebook. Previous PostSwallow The Sun - "When A Shadow Is Forced Into Light"